From the mightiest Pharaoh to the lowliest peasant, who doesn't enjoy a good list? I was considering making this post my top 10 films of all time, but it proved a bit tricky to arrange my favourites in order. I am instead taking on a rather smaller project - listing the Coen brothers movies from best to worst. When I say worst, of course, it's a comparative term - I don't think the Coens have ever made a bad movie, but the bottom two films on the list are dangerously close to mediocrity. As for the rest, it was tough to choose between them. 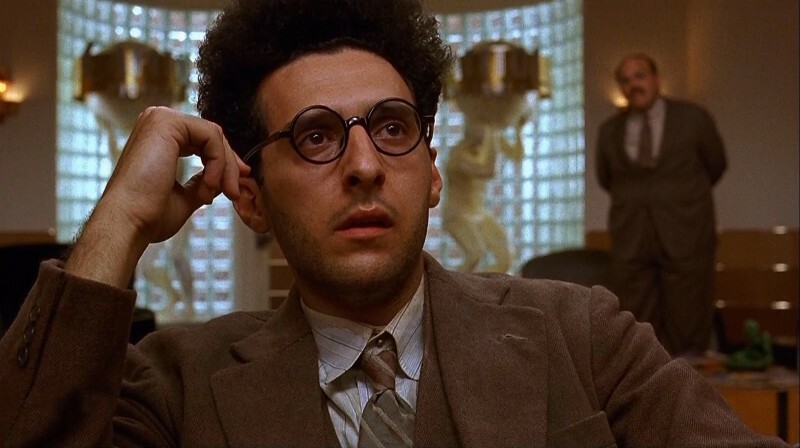 I'd say there are four tiers of Coen brothers movie - the unbelievably good (roughly numbers 1 - 5 on my list), the excellent (numbers 6-10), the very good (11-13) and the fair (14 and 15). Anyway, here's the list. It's been done by far wiser, better informed personages than myself, but nevertheless, I present the Coen brothers, from top to bottom. As close as Joel and Ethan ever got to making a bad movie, this remake of the classic Ealing comedy just doesn't come off. It certainly isn't terrible, and has a number of funny moments (many of which involve Tom Hanks as a scheming Southern professor), but the comedy is rather broad and the film as a whole is very uneven. As this movie followed the film I've ranked as number 14 on my list, I feared that the Coens might have lost their touch. Fortunately, they bounced back (as Alan Partridge has proved, people can bounce back) with a brilliant return to form in No Country For Old Men. Another broad and only sporadically amusing comedy. George Clooney stars as a sleazy, unethical, smooth talking divorce lawyer who meets his match in Catherine Zeta Jones' beautiful gold digger. To be honest, there isn't much to choose between this movie and The Ladykillers - they both represent the Coens at the their most uninspired. As this one's based on an original idea it gets the edge. A big step up from the previous two films, I liked this one a lot more than numbers 14 and 15 on my list. A farcical spy caper involving the memoirs of a disgruntled former CIA agent falling into the hands of two moronic employees of 'Hardbodies Gym', played by Brad Pitt and Mrs Joel Coen, Frances McDormand. The bungling pair attempt to blackmail the CIA man in order to pay for McDormand's 'surgeries', with disastrous results. The movie is a little lightweight compared to the two films which preceded and followed it (No Country for Old Men and A Serious Man), but it's still a lot of fun. Bonus marks are awarded for the shock reveal of the very special chair which George Clooney's character spends a good portion of the film working on. The Coens' very first movie, featuring many of the motifs which the brothers came to be known for: a dark atmosphere, snappy dialogue, a double cross or two, and an odious villain. I first saw this film in VHS format with quite a bit of background noise (which made it hard to pick up what was being said and to follow the story), and I remember not being too impressed with it. 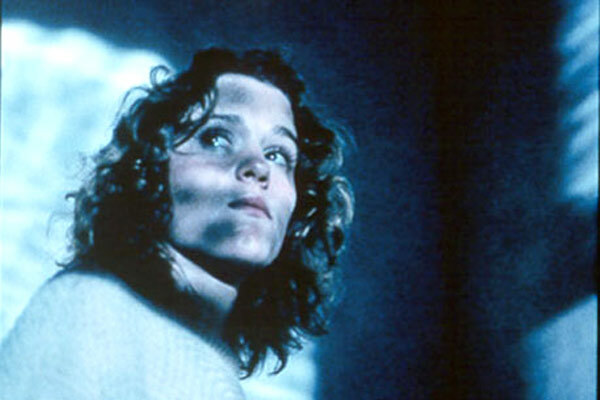 However, on second viewing I was able to see (and more importantly hear) what the fuss was all about, with excellent performances from a young Frances McDormand as the dame in peril and M Emmet Walsh as the sinister private detective on her trail. A madcap comedy starring Nicolas Cage as a former criminal who marries a policewoman, then kidnaps the son of a furniture salesman. To be honest, I haven't seen this one for a long time, and maybe it would have come a little higher if I could recollect more about it than Nicolas Cage's quiff and a chase sequence involving a demonic biker. From what I recall, very funny and a little bit crazy. Despite being known for being a big box office flop for Warner Bros, I rate this one very highly. 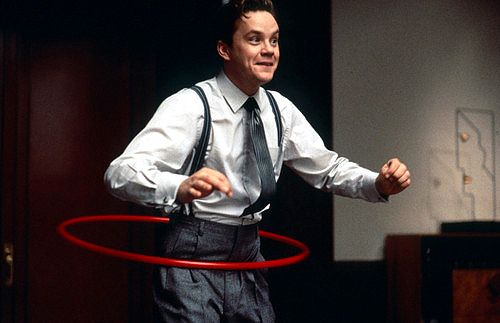 Tim Robbins stars as a naively optimistic graduate from the (not so) prestigious Muncie School of Business who is plucked from the postroom at Hudsucker Industries by Paul Newman's unscrupulous executive. His meteoric rise attracts the attention of a hotshot investigative report played by Jennifer Jason Leigh, whose speech patterns are based on the fast talking dames of '40s comedies. Though it runs a little out of steam in the second half, the film features some great characters and brilliant cinematography. Also scores highly for Tim Robbins' confusingly simplistic hula hoop design. "You know, for kids!" 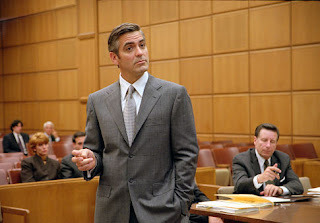 In which George Clooney leads two other chain gang inmates to freedom, stopping off en route to record a hit song, evade the Ku Klux Klan and get through a lot of 'Dapper Dan' pomade. 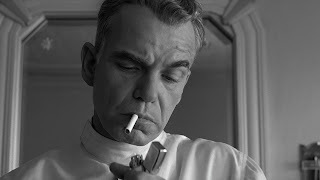 I really should say that despite being in a comparatively lowly position on my list, I think this movie is great - the 30s soundtrack is spot on, and it features brilliant performances from a number of actors who regularly feature in Coen brothers movies (Clooney, John Goodman, John Turturro). Why, then, hasn't this film charted higher? I suppose it's just the overall tone of the film - it's generally very light and breezy, and all played for laughs. I think when the Coens are really firing on all cylinders, you get that unique mixture of the very dark and the very funny, which puts a movie like Fargo up to the very top of the tree. The most recent Coen movie, and a fine addition to the collection. As with a number of their more recent movies, the Coens have adapted another author's work for the screen, rather than writing an original screenplay. 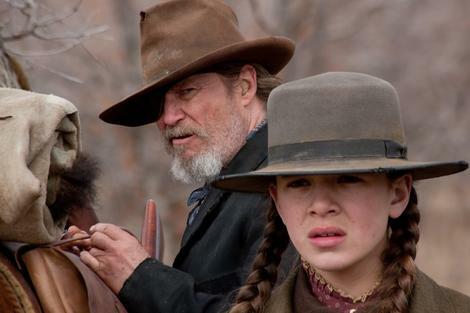 Hallee Steinfeld is excellent as 14 year old Mattie Ross, a girl seeking revenge for her father's murder in a lawless town in the American West. In doing so, she enlists the services of the drunken, short tempered Rooster Cogburn (Jeff Bridges) and is also assisted by a pompous Texas Ranger (played by Matt Damon). I have to be honest and admit that I haven't seen the original version with John Wayne as Cogburn, but I'd be very surprised if it could top this movie, a really gripping (and gritty) Western. 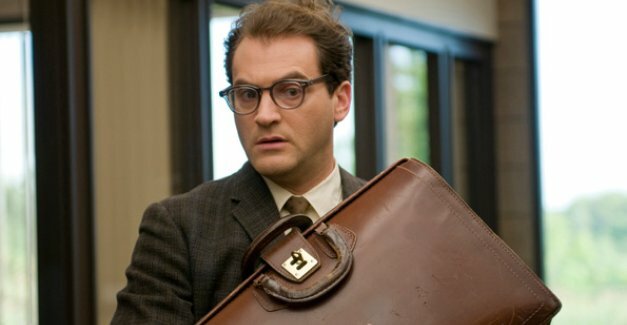 Probably the Coens' most autobiographical film (though they refuse to confirm just how true to life it is), this dark comedy is set in a Jewish enclave in 1960s Minnesota. The film tells the tale of Larry Gopnik, a Maths professor who goes to a number of Rabbis for advice when his life begins to unravel. Pitch black, but very funny, this one has a great soundtrack, some really funny lines and a number of highly unexpected moments. As with No Country for Old Men, it ends on an ambiguous, inconclusive note. As the father of one of Mr Gopnik's students tells us, perhaps it's best to "accept the mystery". Probably the Coens' darkest film, this movie is an adaptation of the Cormac McCarthy's novel, a sort of modern day Western set in West Texas in the '80s. Trailer park resident Josh Brolin comes across the aftermath of a drug deal gone bad in the middle of the desert, and decides to take away a suitcase full of money from the scene. Unfortunately for Brolin, the psychotic Anton Chigurh (Javier Bardem) is soon on his trail. 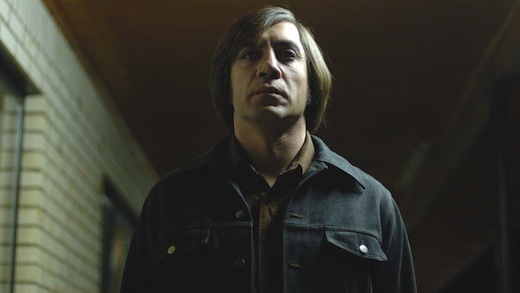 Chigurh is probably the scariest villain in any of the Coen brothers' movies - a relentless, murderous man with a terrible haircut, and a penchant for his bolt gun, he's somebody you really, really don't want chasing you. This one comes just outside the top 5 for me as it is just so bleak, but was definitely deserving of the Best Picture Oscar. At this point in the list, all the movies are fantastic, and it's pretty much impossible for me to separate them. But it would be a bit of cop out to have a five way tie for first place, so almost on a whim, Miller's Crossing comes in a number 5. The Coens' take on the gangster genre is set in the prohibition era, and features Gabriel Byrne as sharp witted right hand man of local mob boss Albert Finney, who is caught between loyalty to his boss and to the advances of his crass rival (played by Jon Polito). The film features it's own fascinating brand of made up '30s slang ("giving me the high hat, Tom? 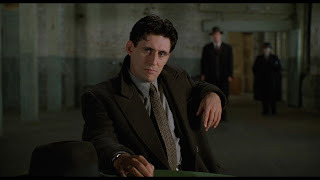 "), a plot which twists first one way and then the other, with Byrne trying to stay in control, and a tremendous scene in the woods in which the weaselly Bernie Bernbaum (John Turturro) begs Byrne to spare his life. Top notch. A beautifully shot film noir pastiche in black and white, Billy Bob Thornton turns in the performance of his career (with the possible exception of Sling Blade) as the taciturn barber Ed Crane. In trying to raise some start up capital for a dry cleaning franchise, Crane attempts to blackmail his wife's lover (James Gandolfini). In the best possible noir tradition, this simple plan works out disastrously for all concerned (with the exception of Tony Shalhoub's sleazy lawyer), but with every twist of fate, Ed remains laconic and tight lipped, narrating his story in a deadpan drawl. Some Coen fans don't rank this movie too highly, but for me it's nearly perfect and the more times I see it, the more I love it. In which a laid back slacker gets embroiled in a world of trouble when trying to get compensation for a soiled rug. What can you say about the movie so quotable that it's created a cottage industry of festivals, Dude impersonators, and an endless stream of hilarious quotes and in jokes? I have to confess that the first time I saw Lebowski, I didn't really get it. Sure, it was entertaining enough, but it seemed a little too wacky for my tastes. On repeat viewing, however, the genius of the film begins to reveal itself. So many fantastic characters, so many brilliant lines... The film really gets into your head, to the extent that sometimes a Lebowski quote will pop into my head when I'm in public, and leave me grinning to myself like an imbecile. 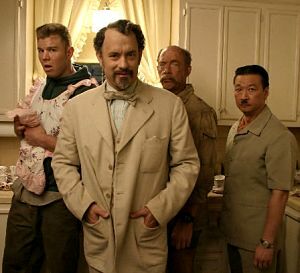 Definitely the Coen's funniest film, it also provides a definitive answer to the question, do strong men also cry? Though it wasn't the kind of R rated movie that Bart Simpson and friends were looking for, in all other aspects this is a truly brilliant film. John Turturro plays the our eponymous hero; an earnest New York playwright who suffers a severe case of writer's block after he is sent to Los Angeles to work on a wrestling picture. The Los Angeles of the '40s shown in this movie begins to resemble hell, with Turturro trapped in the stifling confines of his cheap hotel with only cheerful salesman Charlie Meadows (John Goodman) for company. The film features some brilliantly snappy dialogue and some of the Coen's most memorable characters - including Steve Buscemi's chipper bellhop, Michael Lerner's deranged studio boss, Tony Shalhoub's disillusioned producer and John Mahoney's soused novelist. A vision of the dark side of Hollywood which I can watch time and time again. So, to the very top of the list. While it was touch and go between the final few films, Fargo just has a bit more heart than the rest. 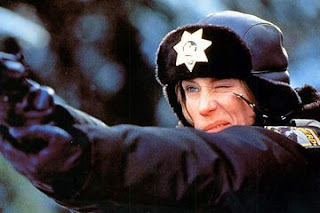 The reason for that is rooted in Frances McDormand's wonderful central performance as heavily pregnant cop Marge Gunderson, who is called in to investigate a multiple homicide in a quiet Minnesotan community. As is often the case with the Coen brothers, the plot revolves around a seemingly simple plan - in this case, the plan to ransom the wife of the financially troubled William H Macy, which soon escalates into tragedy. McDormand's quiet domestic bliss is beautifully contrasted against the seedy lives of the low rent criminals played by Steve Buscemi and Peter Stormare, and the grasping desperation of car salesman William H Macy. A brilliantly plotted, scripted, acted and directed movie which is perfect in just about every way. Your top three is identical to my top three; Fargo is indeed a thing of beauty, and I believe that in all the praise it already receives, people can neglect to see how complex it is. In many ways, it's a story about mirror images: Marge is the epitome of goodness and therefore a reflection of Grimsrud; Jerry is a reflection of Carl, because both are equally convincingly characterised and immoral, yet one has the outward appearance of a family man. But I think the most oft-forgotten thing is the beautiful Carter Burwell score. 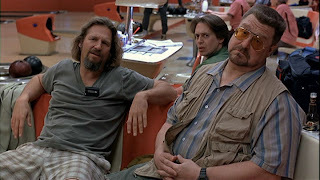 And I agree that Lebowski is bursting with superb dialogue. Few films are more quotable.